The Dunuk village, this is a village situated here (click for map). For the pass few years I've been visiting this village with my friends. This year 2011, I get another change to revisit the village again. 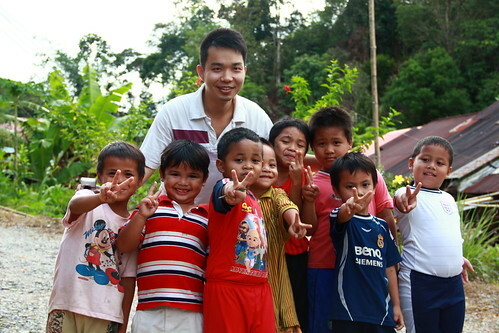 This time it was organised by the Tzu Chi Foundation (Kuching Branch). This program is to offer the nearby village a free medical checkup, and medical treatment. Is a large scale program, so they require a lot of volunteer workers. I participated the programs with few of my friends. The setting up start at Saturday, and the treatment will starts at Sunday. My friends and I reach at Saturday, and after the setting up is done, we went roaming in the village, I shoot a lot of short clips there.